The eRDS room data demo project is based on the Revit model rac_advanced_sample_project pictured opposite. 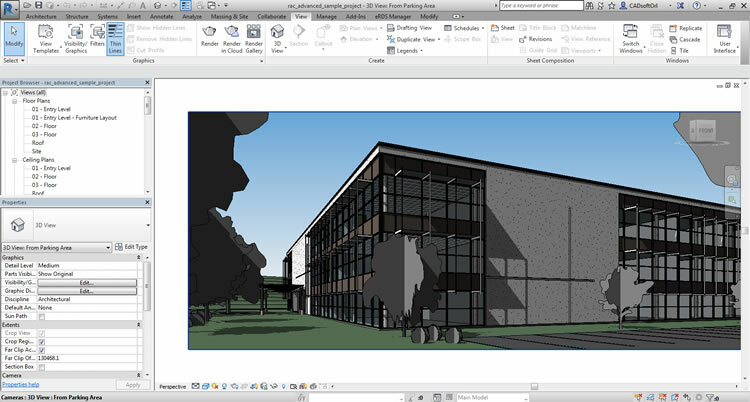 The 3D model is usually downloaded during the installation of Revit. If you’d like to try the BIM link, then you will need the original model. Click the link to download it. To use the BIM link and import room data from the eRDS project, you will need to download and install the eRDS Revit plugin. Click the link to download it. Once the plugin is installed, the eRDS Manager will be added to the Revit ribbon. Once you have installed the Revit plugin, you are ready to import eRDS room data from the cloud project into the model. You will need the Excel file to do this. Click the link to download and save it to your desktop. You are now ready to import your room data. 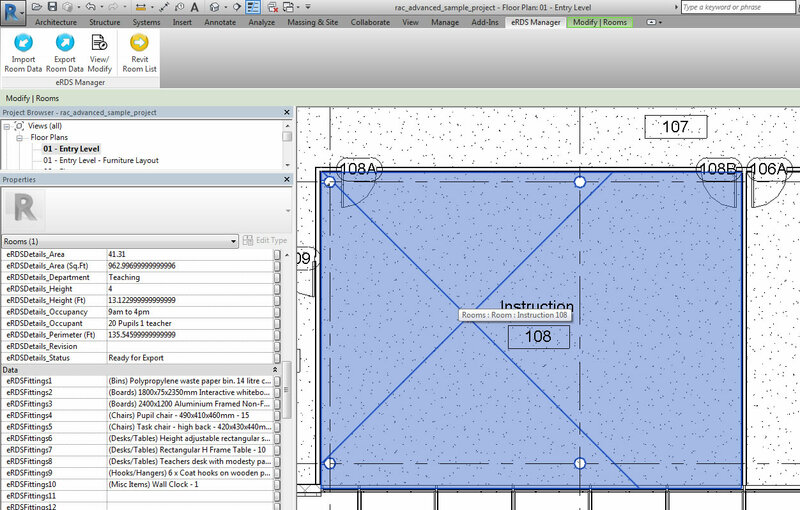 Switch to one of the Floor Plan views in the Revit Project Browser and click the eRDS Manager tab. 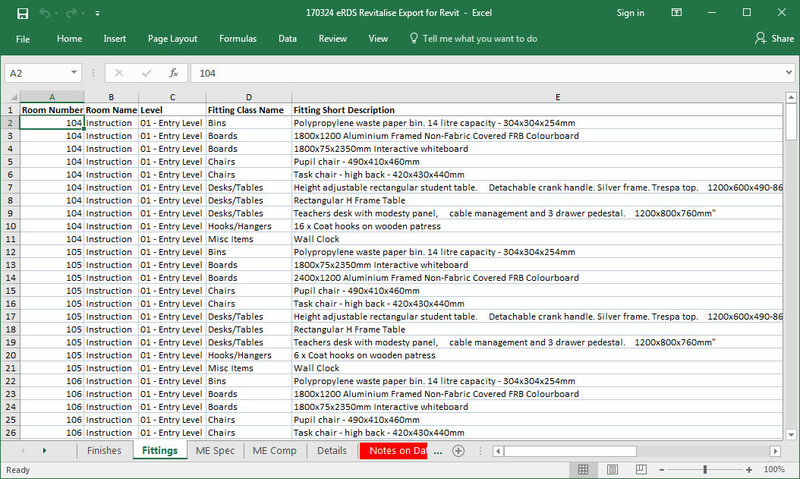 You can then click the Import Room Data Icon to start importing room data from the Excel file previously downloaded. Once you click import, your eRDS room data will be imported from the spreadsheet into the model. If you select one of the rooms and look at its properties, you will see the eRDS room data as Revit parameters. Your room data is now embedded into the model, so if you send it to other stakeholders they will be able to read it. The eRDS Revit plugin is available separately for purchase, so other users can edit & modify the data themselves if they wish. Or alternatively you can give them a login to your eRDS cloud software and do the editing there. When it’s time to export to COBie or save to IFC, your eRDS data will appear in those formats.